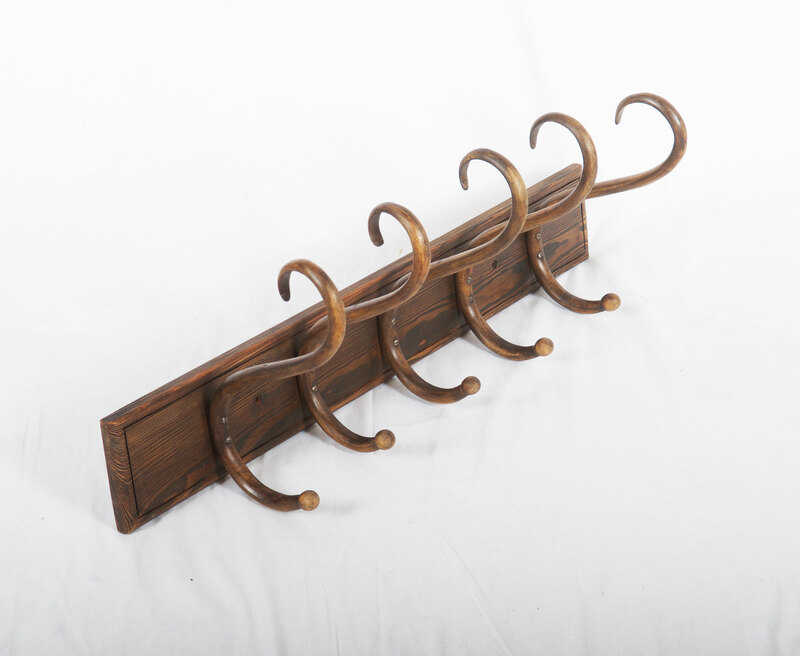 Wardrobes / armoires / hooks - galerie-zeitraeume Webseite! 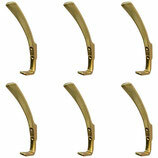 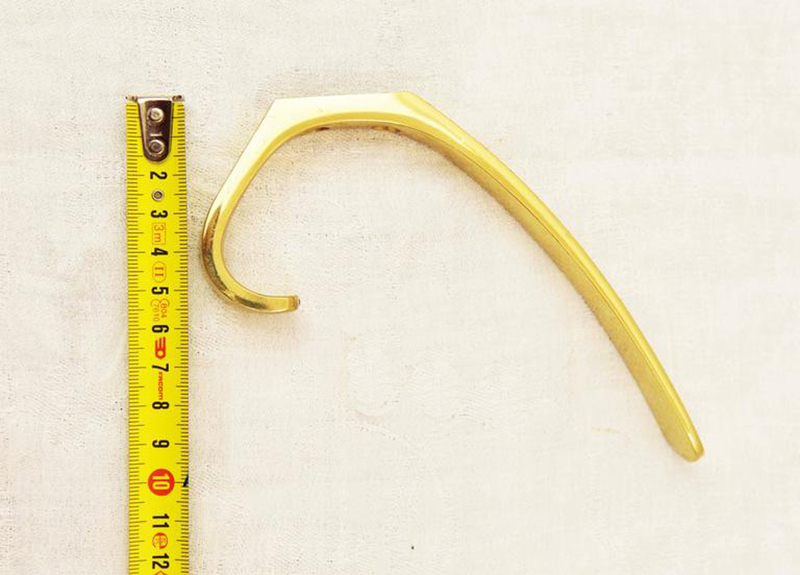 Beautiful Austrian brass hooks manufactured by Hertha Baller in Austria in the 1950s. Up to 2 available. 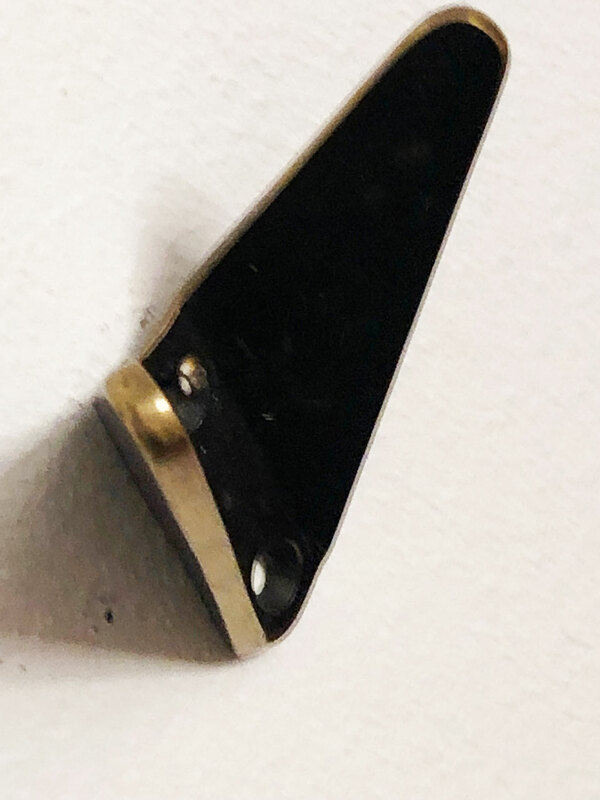 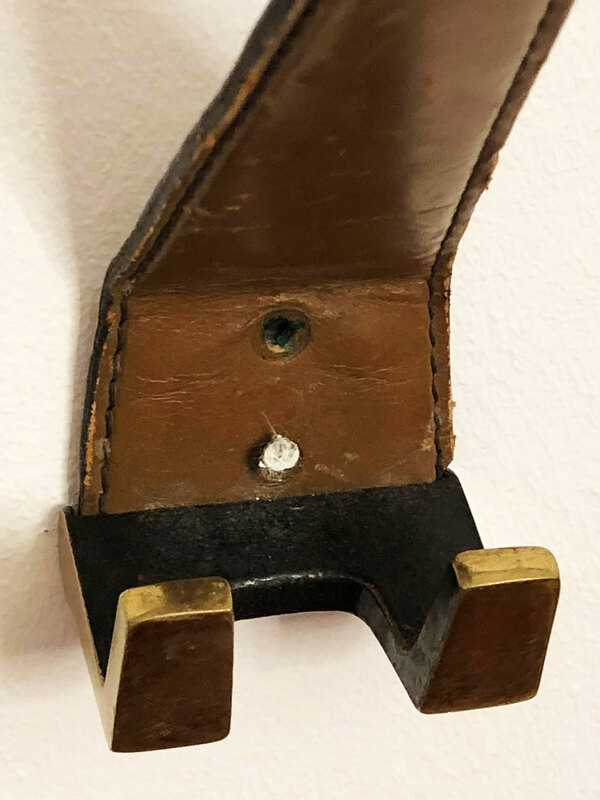 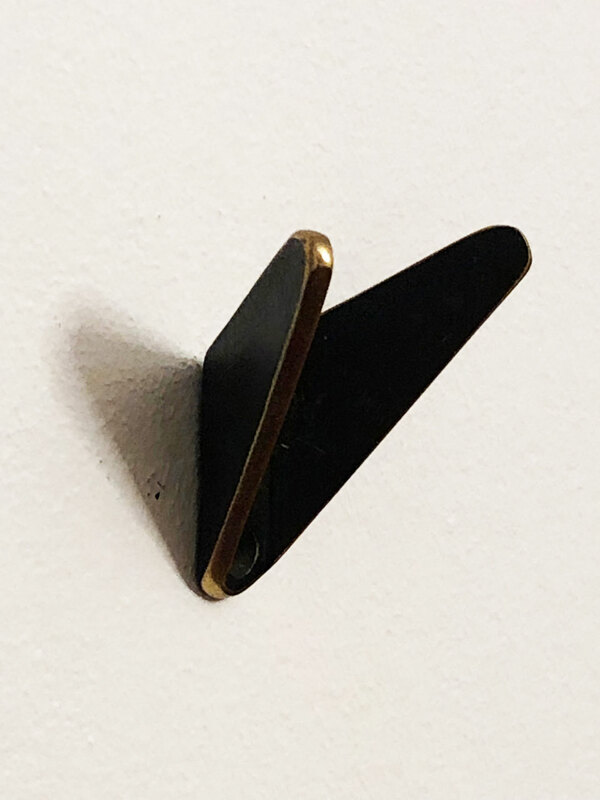 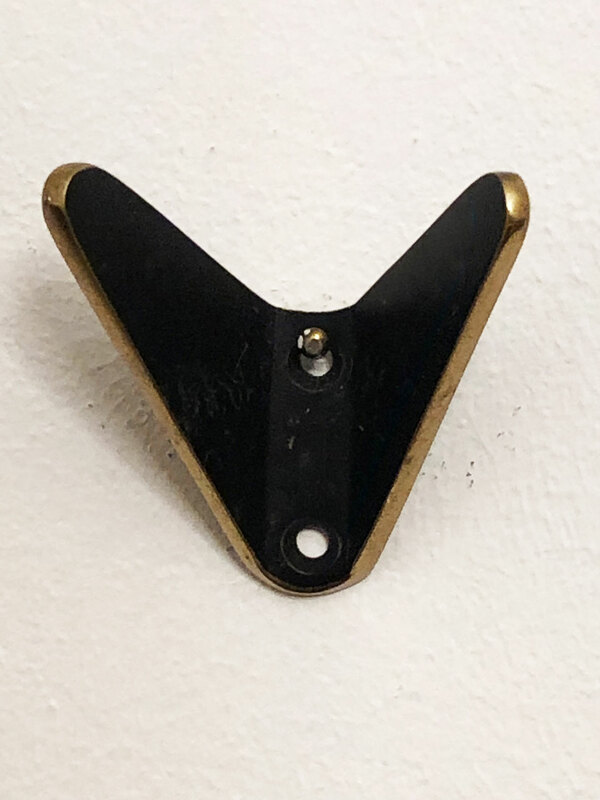 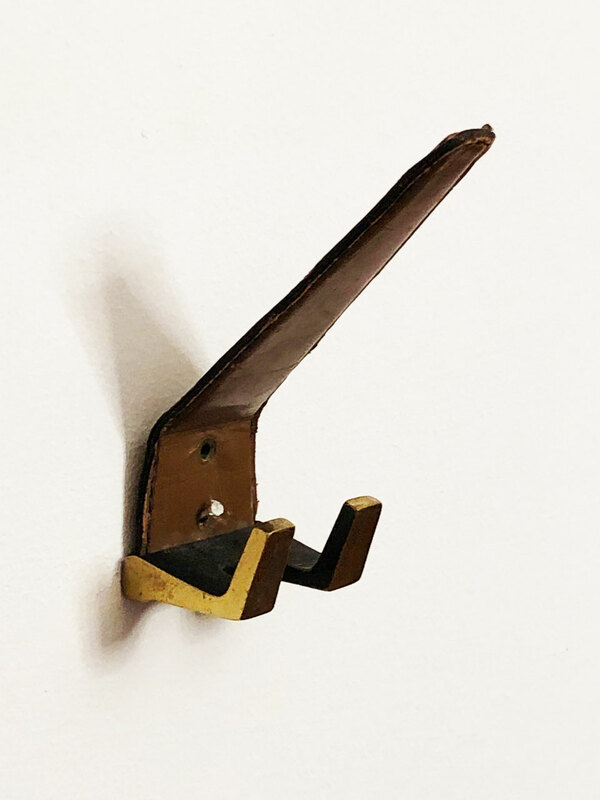 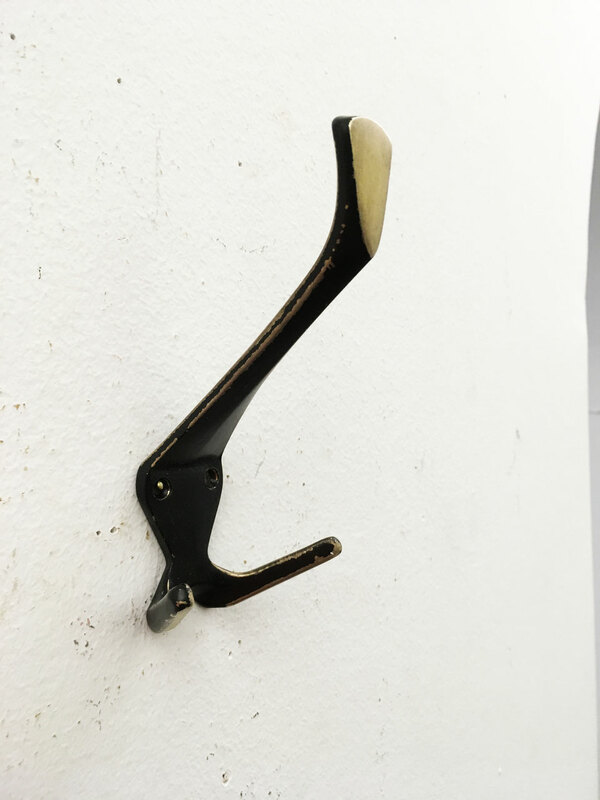 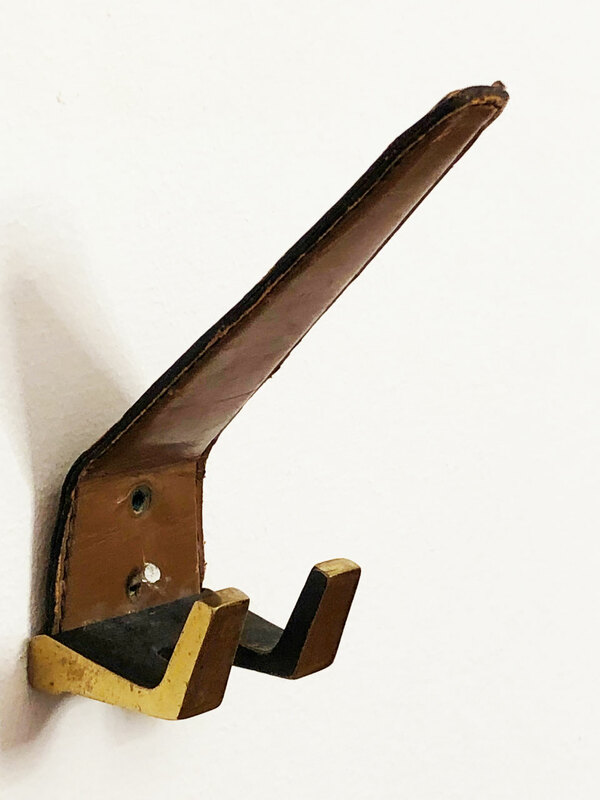 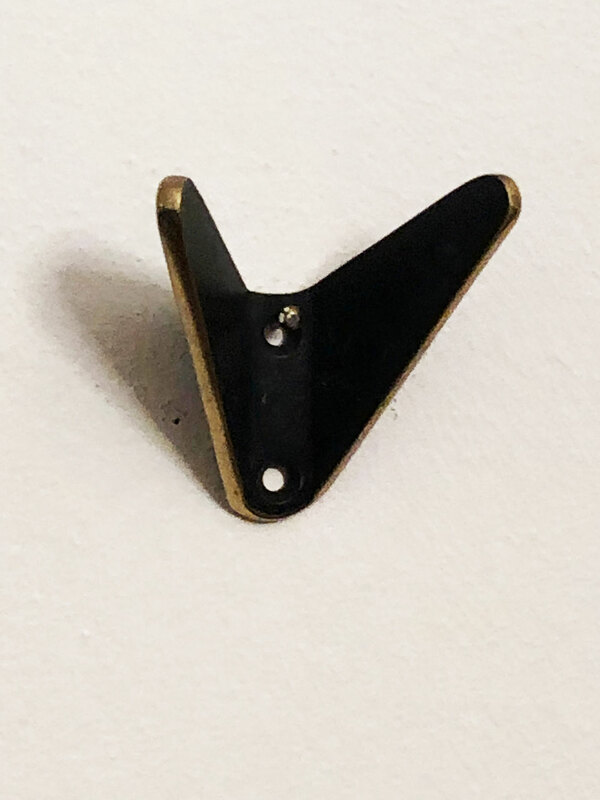 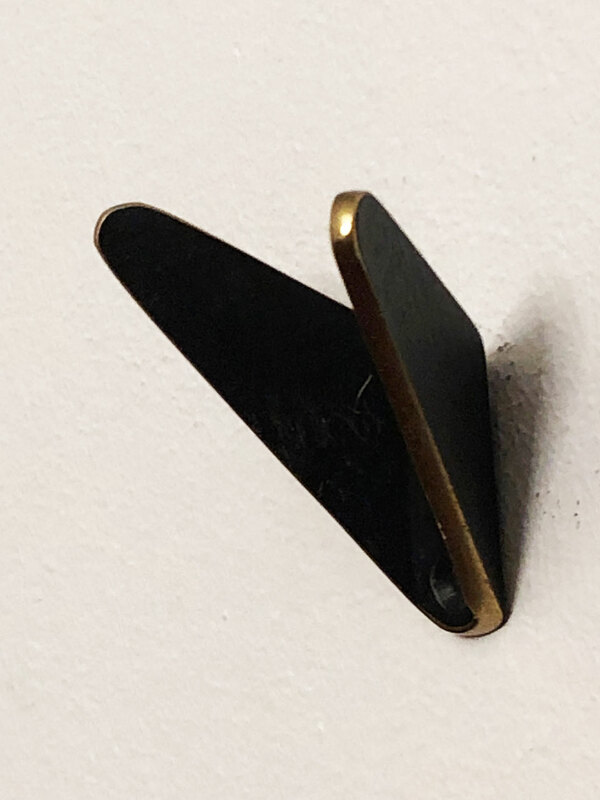 Ebonized brass coat, hat hook partially covered with brown leather, elegant shape and perfect quality attributed to Carl Auböck from the 1950s. 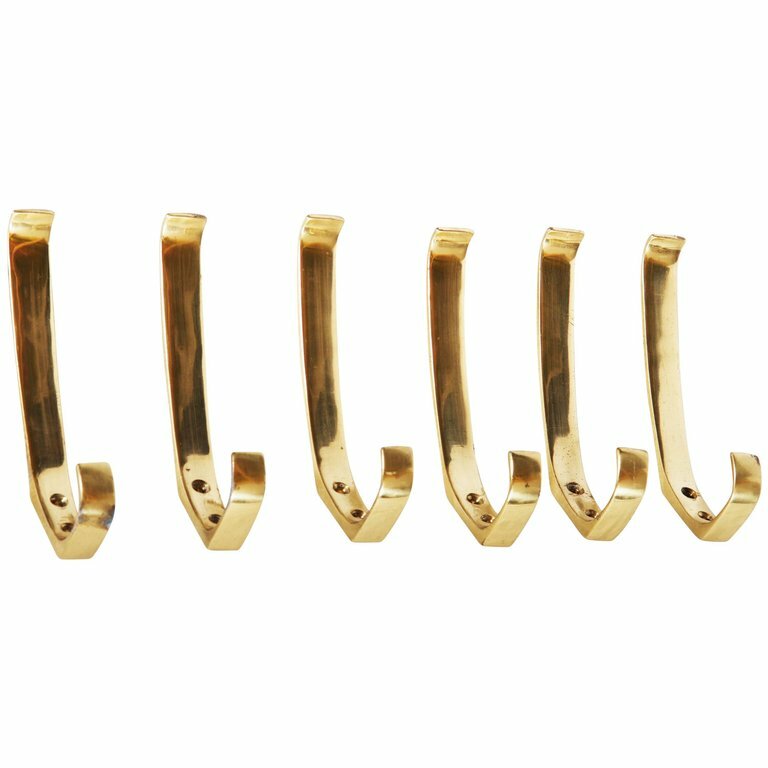 Up to seven pieces available. 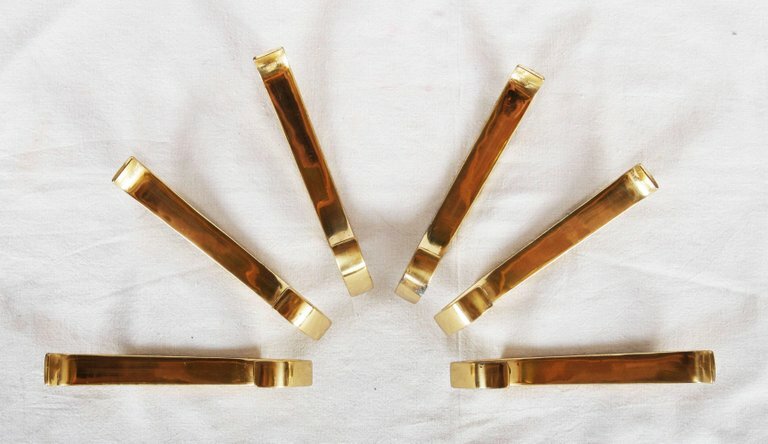 Beautiful Austrian brass hooks manufactured by Hertha Baller in Austria in the 1950s. 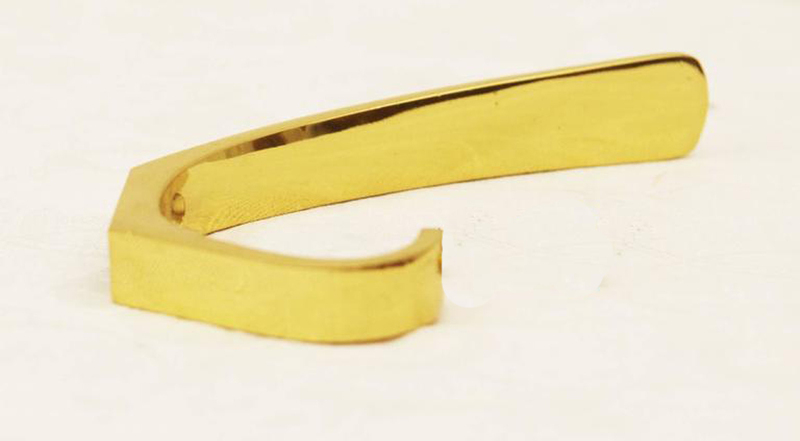 Up to 12 available. 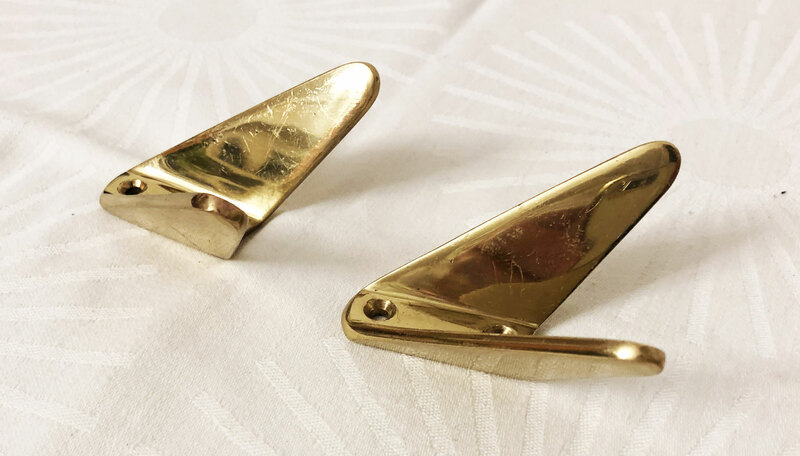 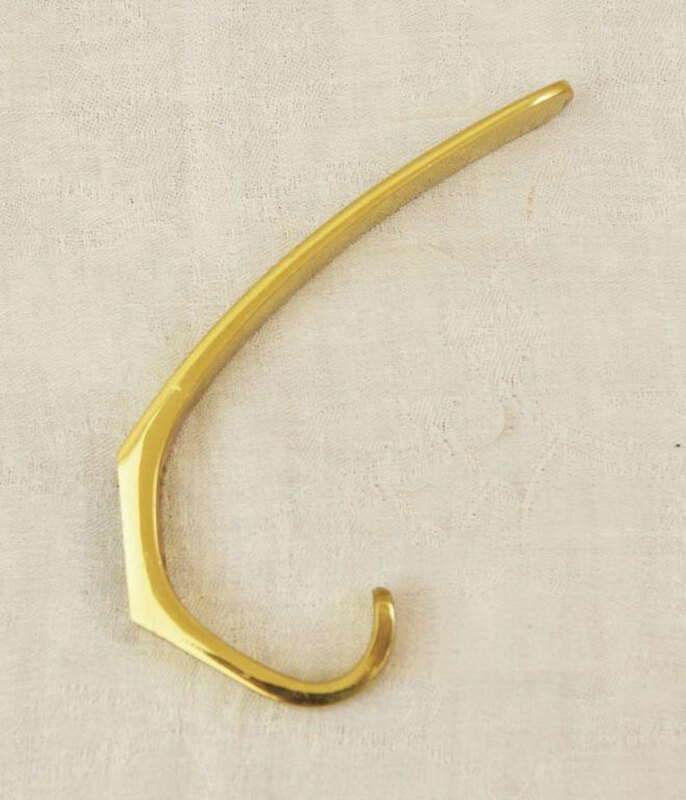 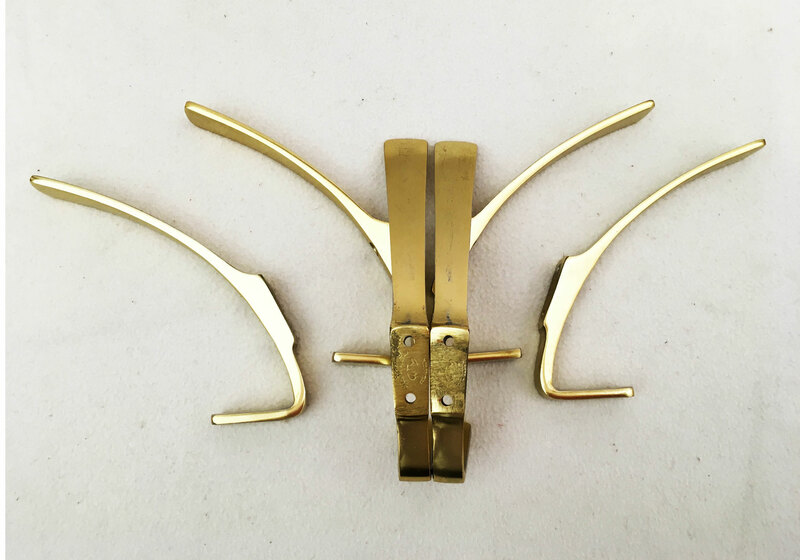 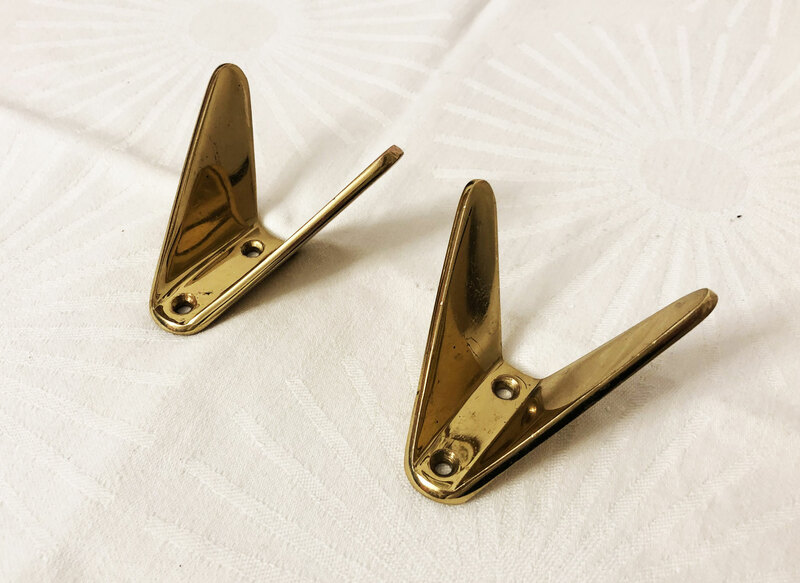 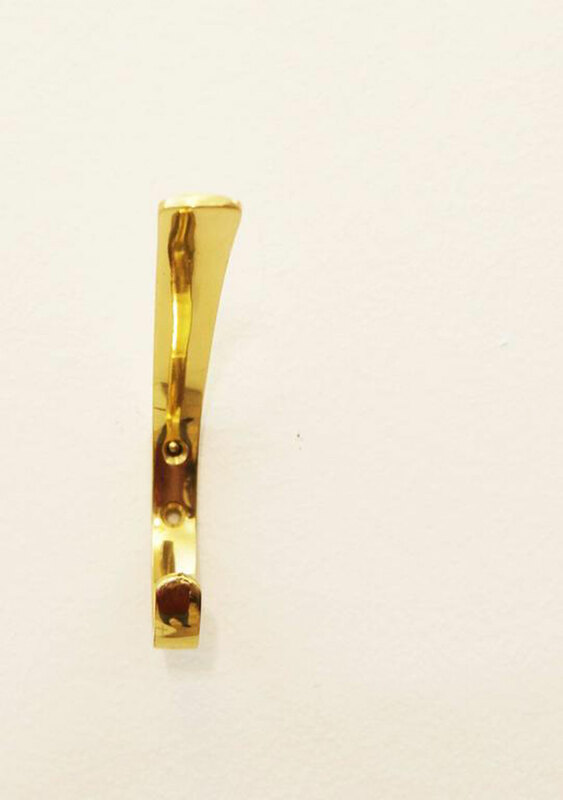 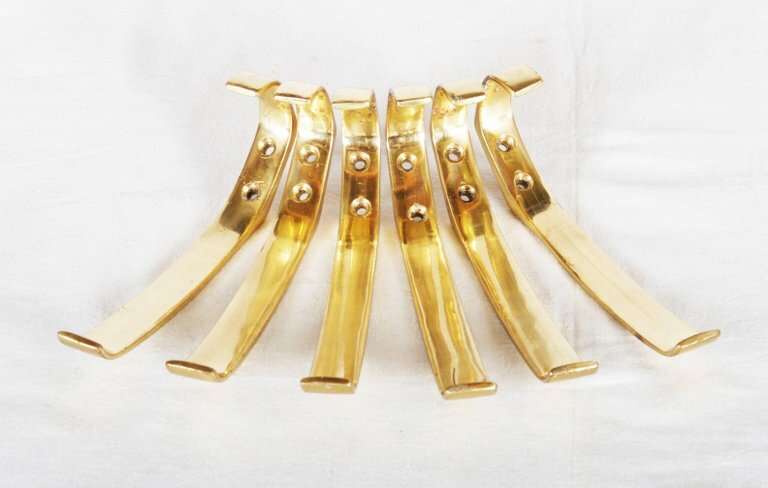 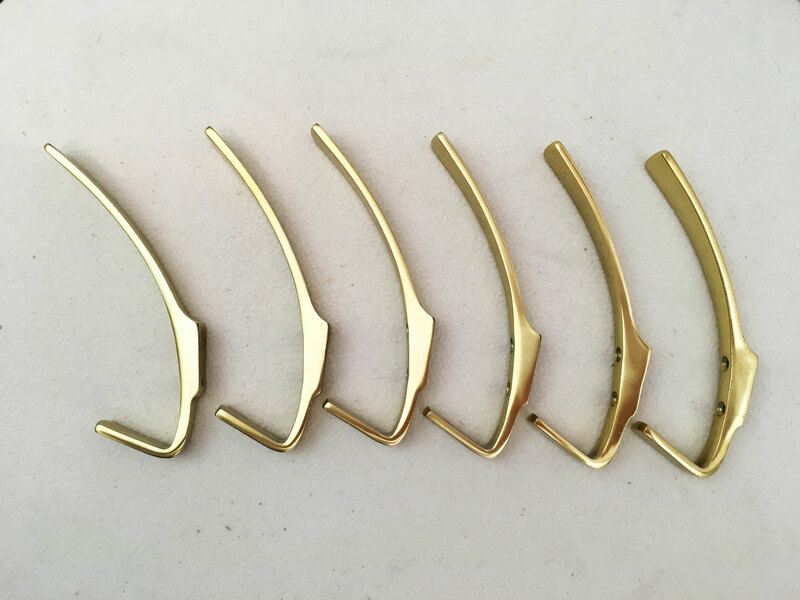 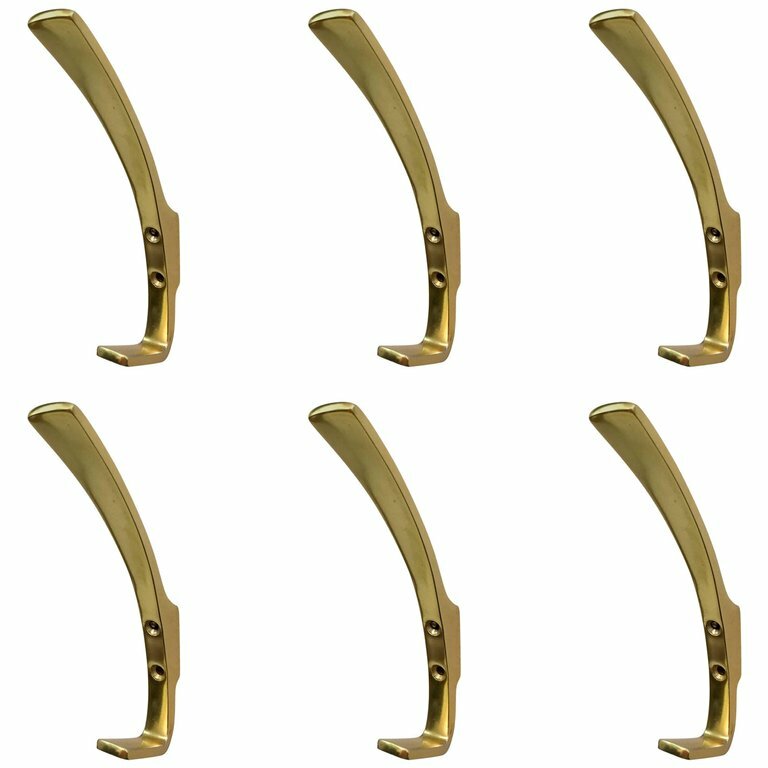 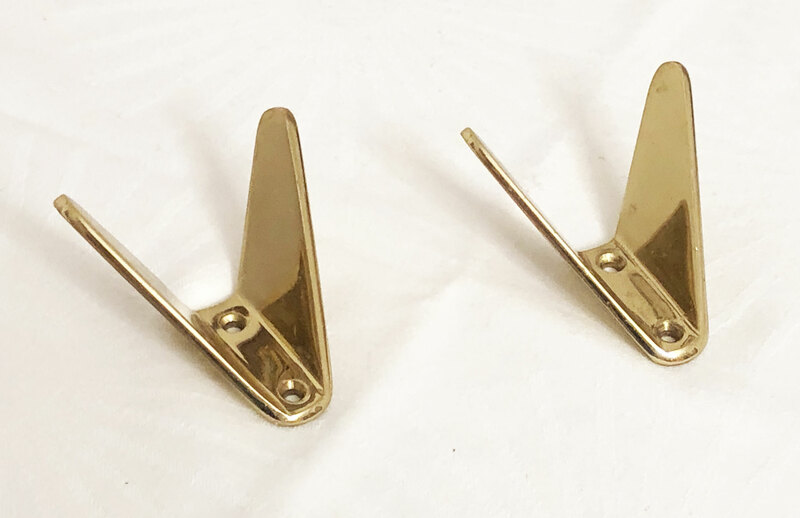 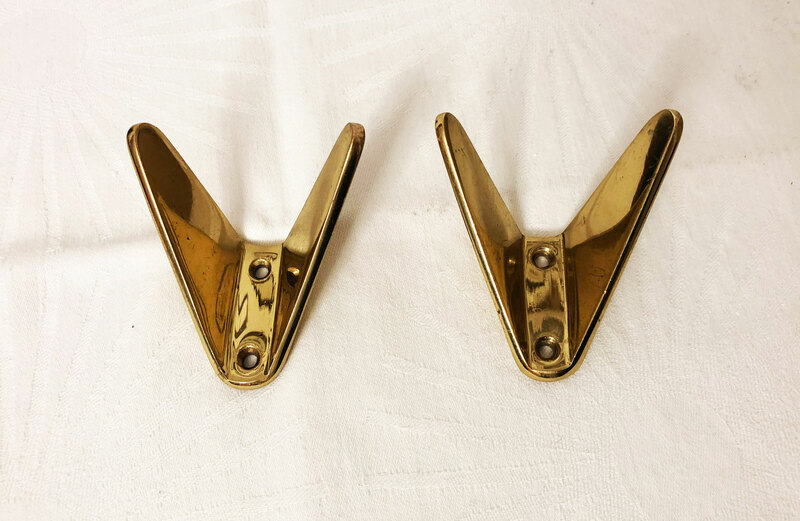 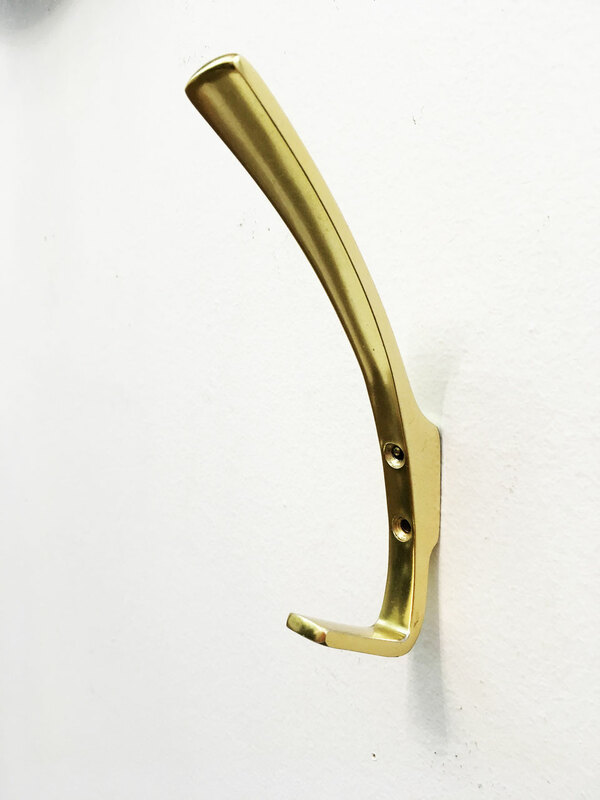 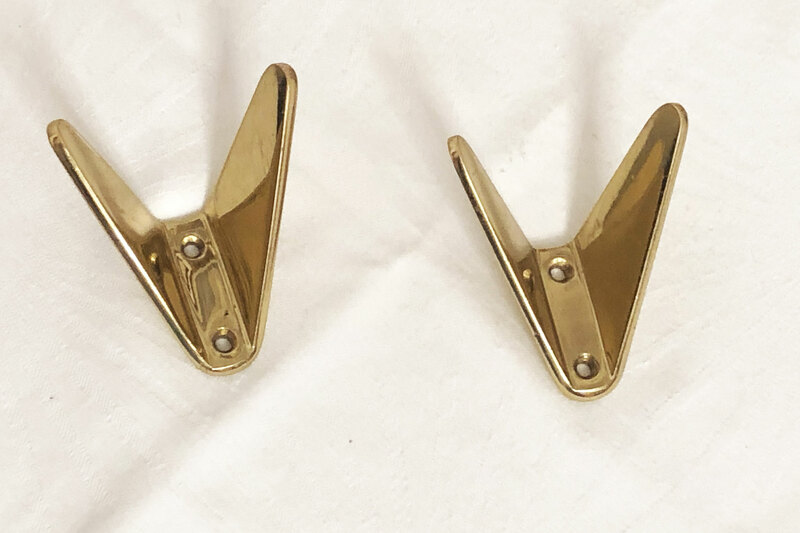 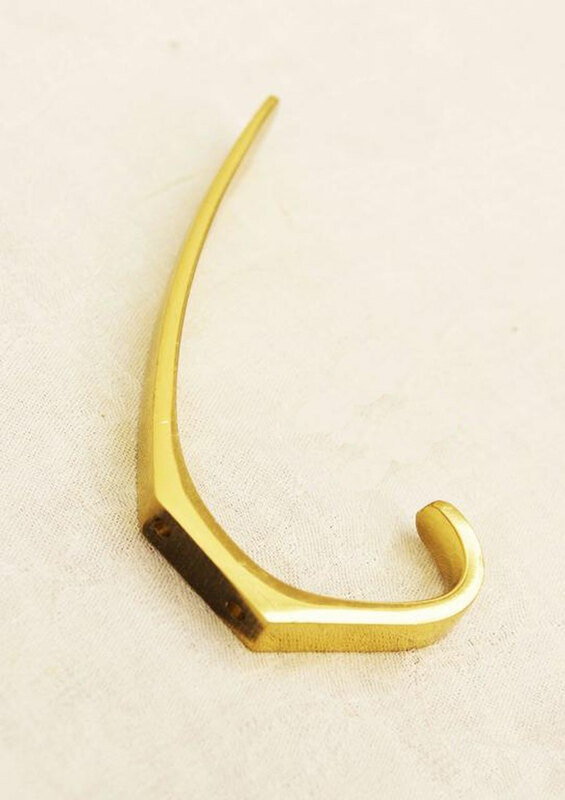 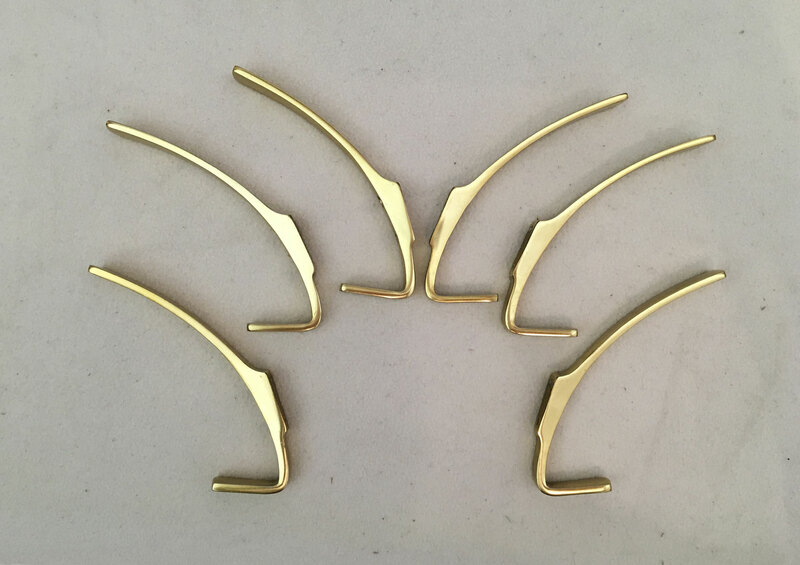 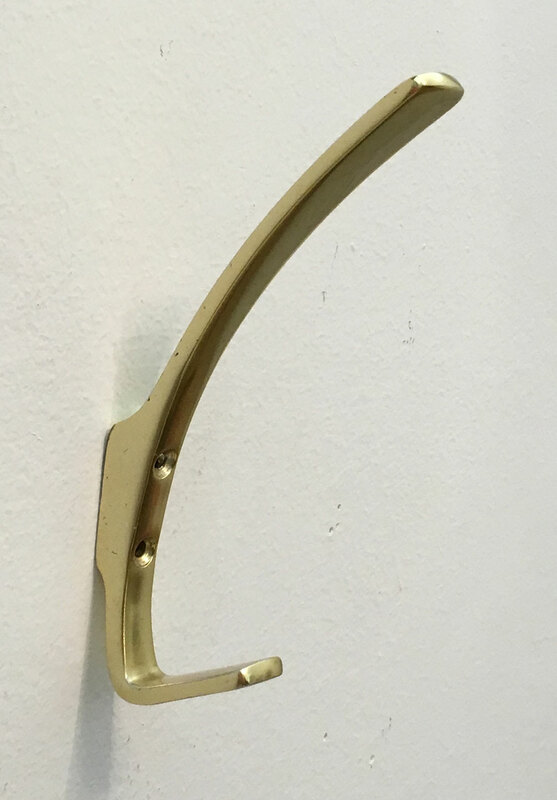 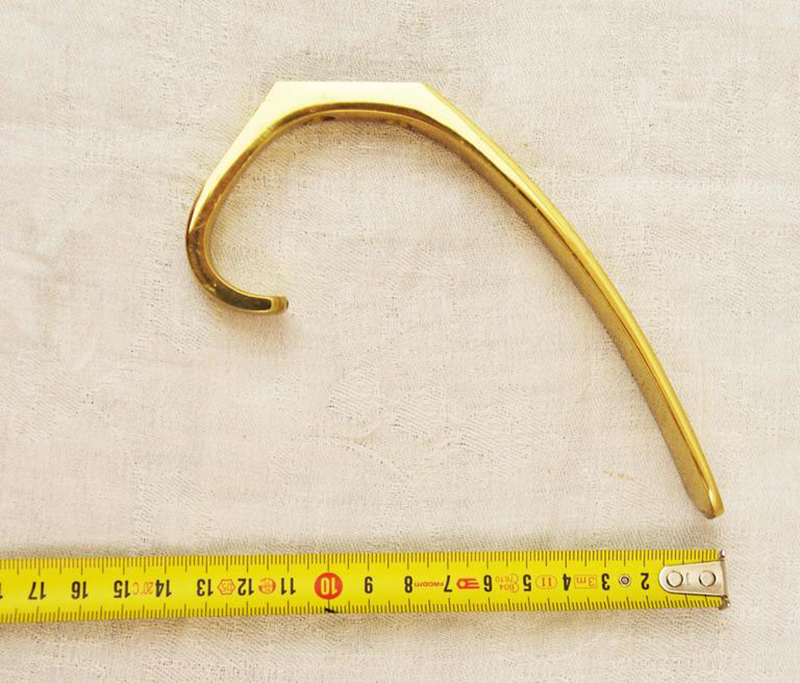 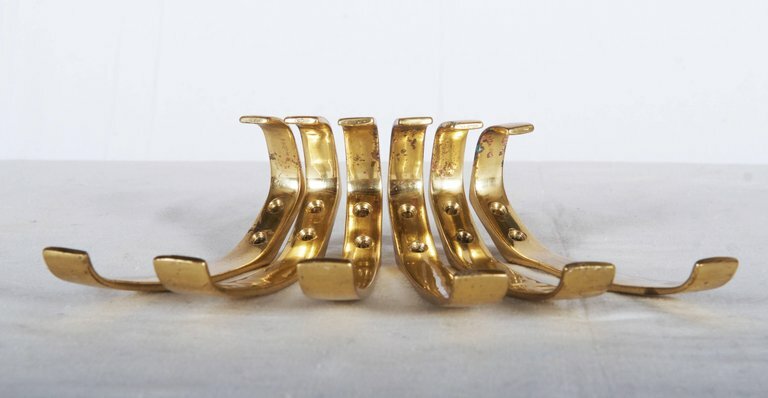 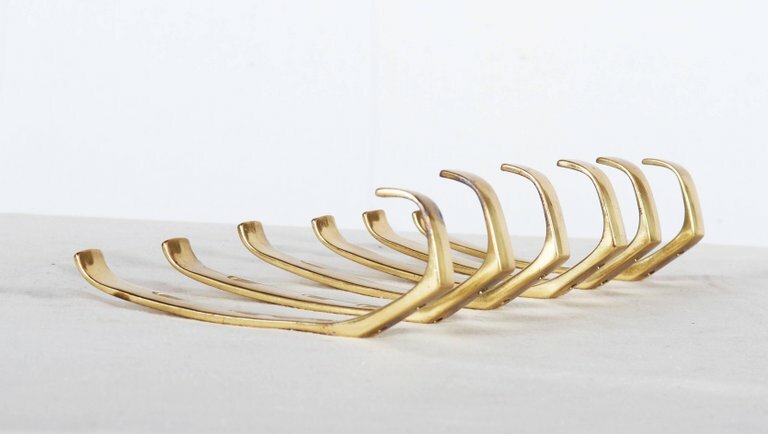 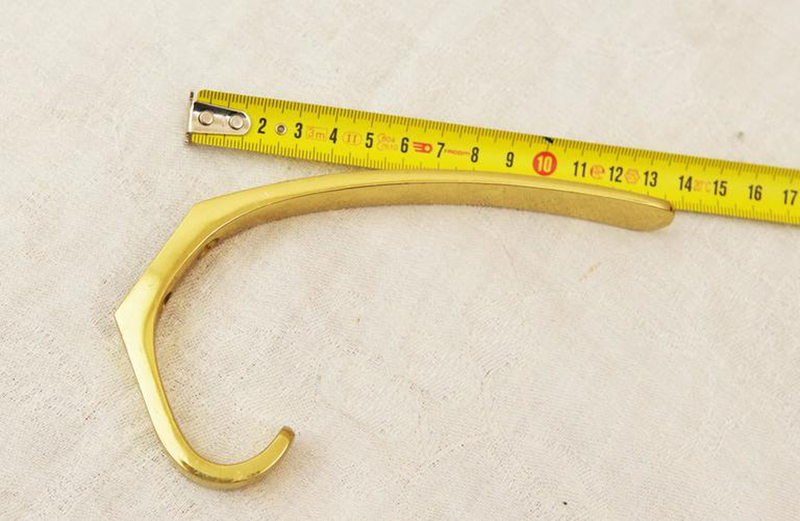 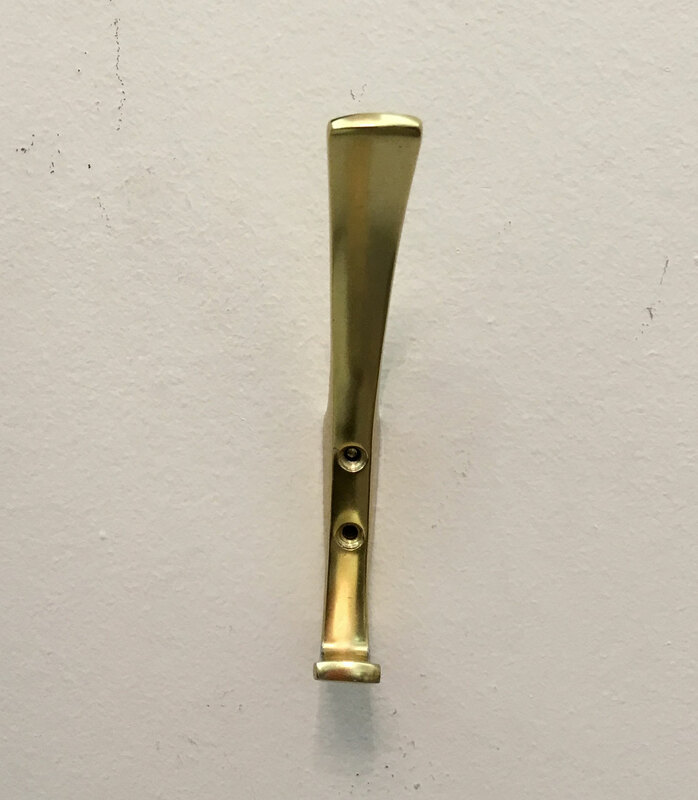 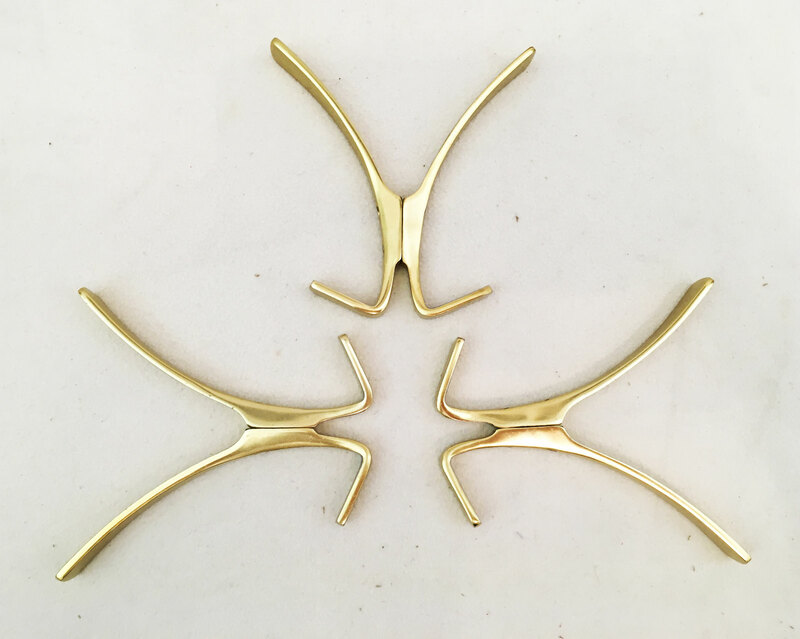 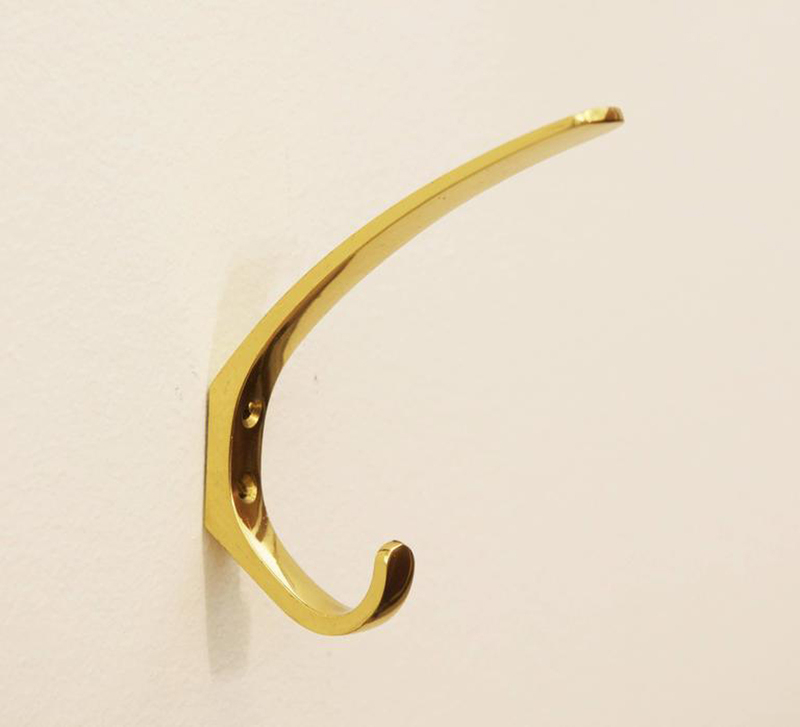 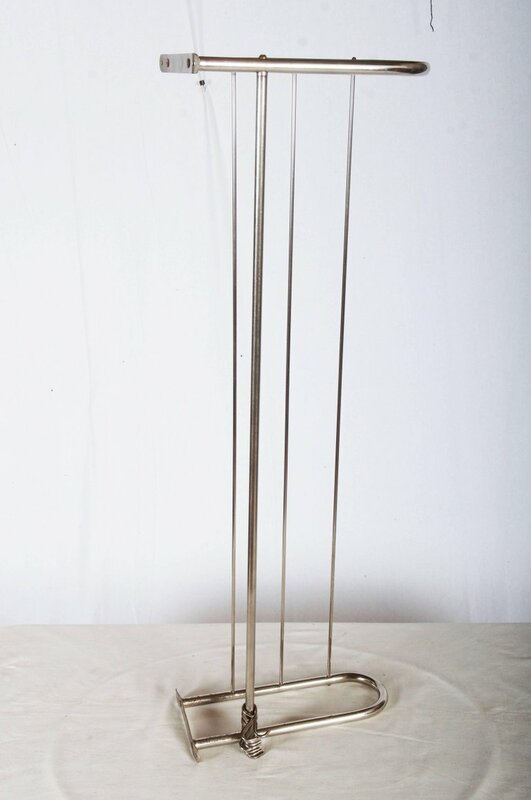 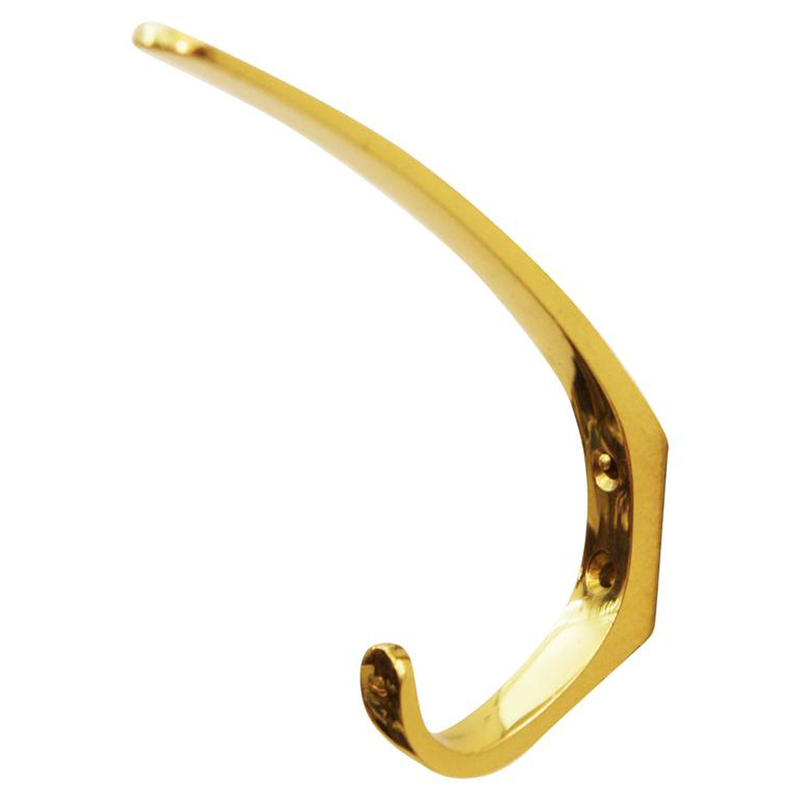 Brass coat, hat hooks, elegant shape and perfect quality by Hertha Baller from the 1950s. 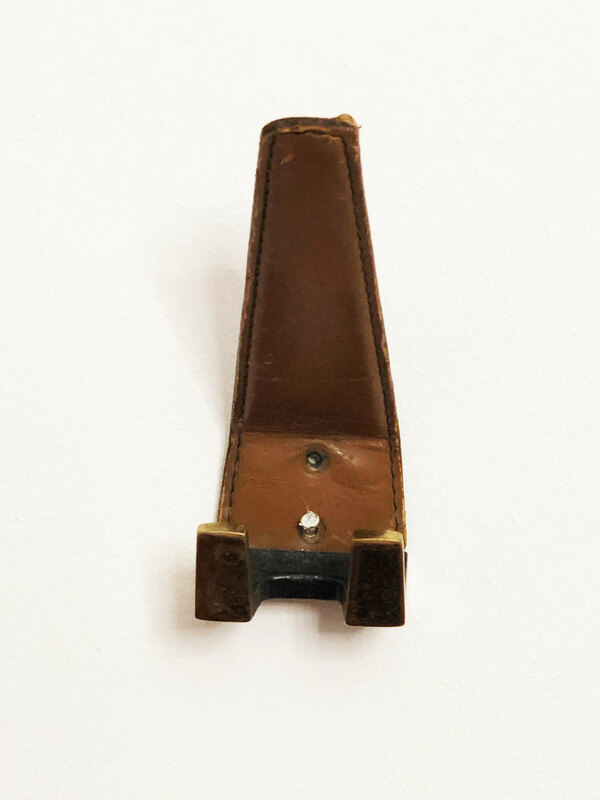 A near perfect original condition. 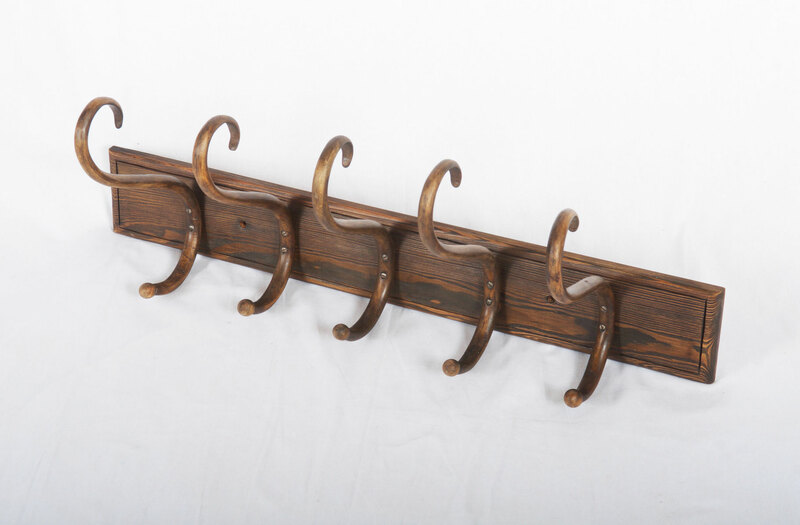 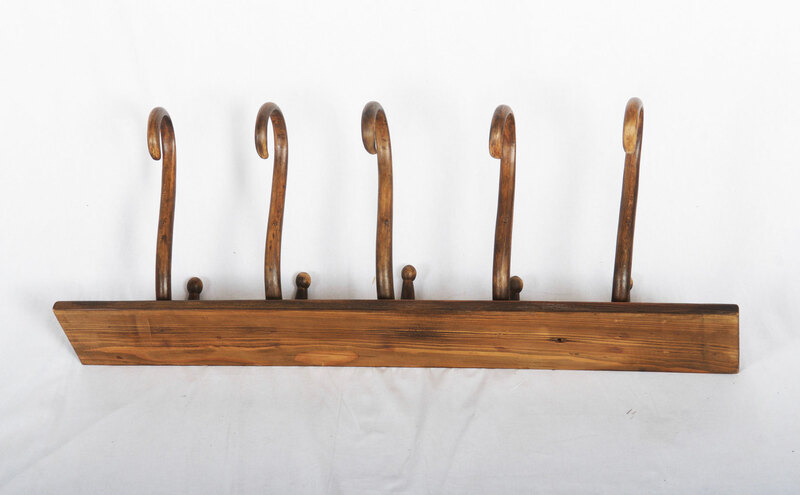 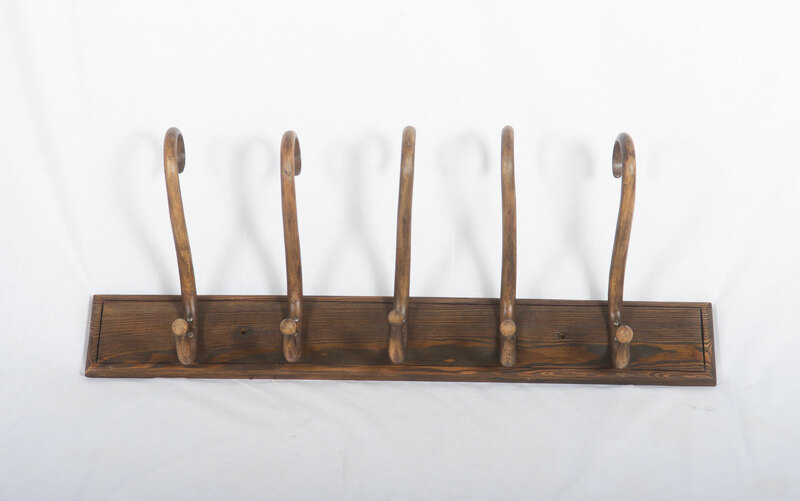 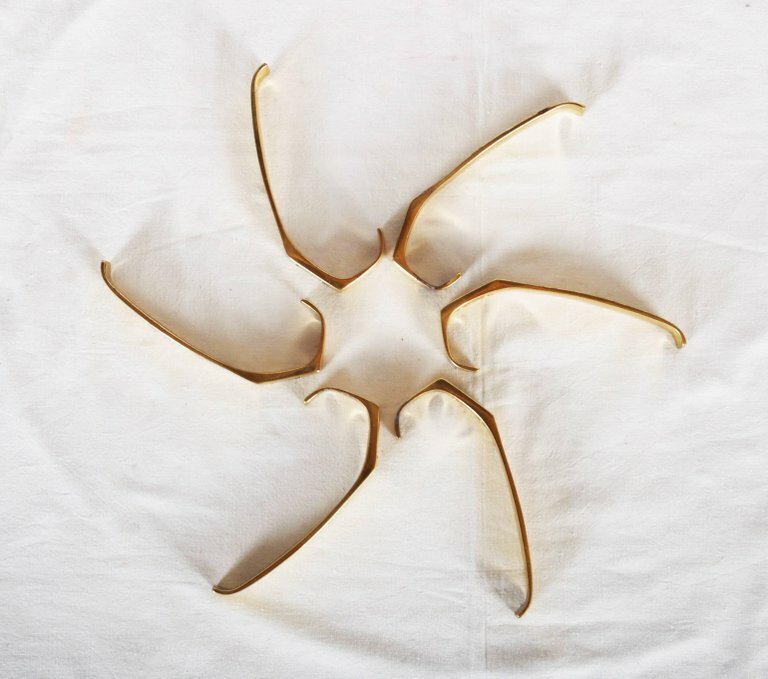 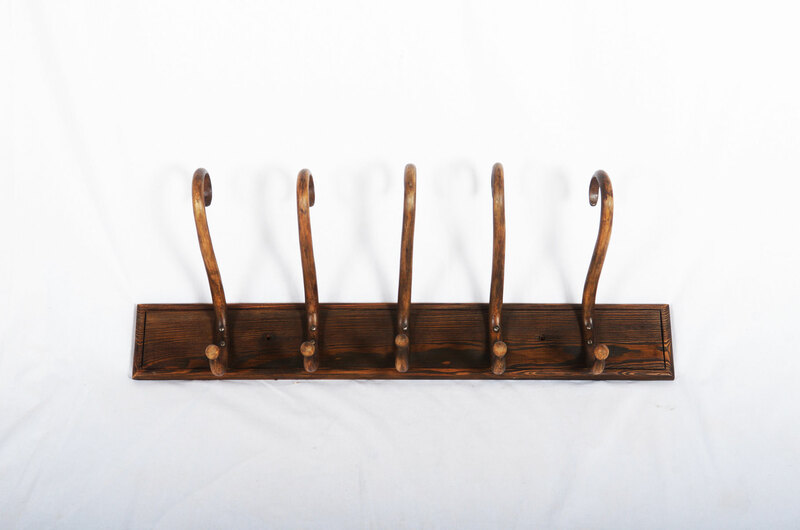 Austrian bentwood coat hanger with five S scroll coat or hat hangers mounted on a backplate. 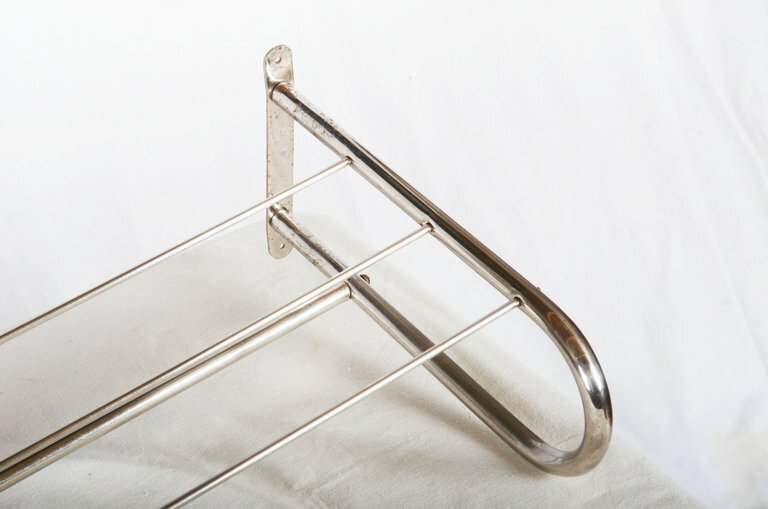 Made in the style of Thonet or Kohn. 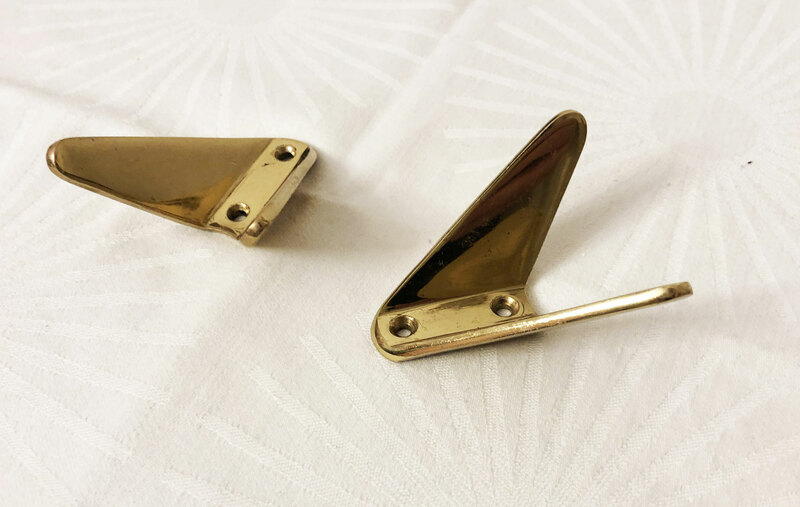 Brass coat, hat hooks, elegant shape and perfect quality by Hertha Baller from the 1950s. 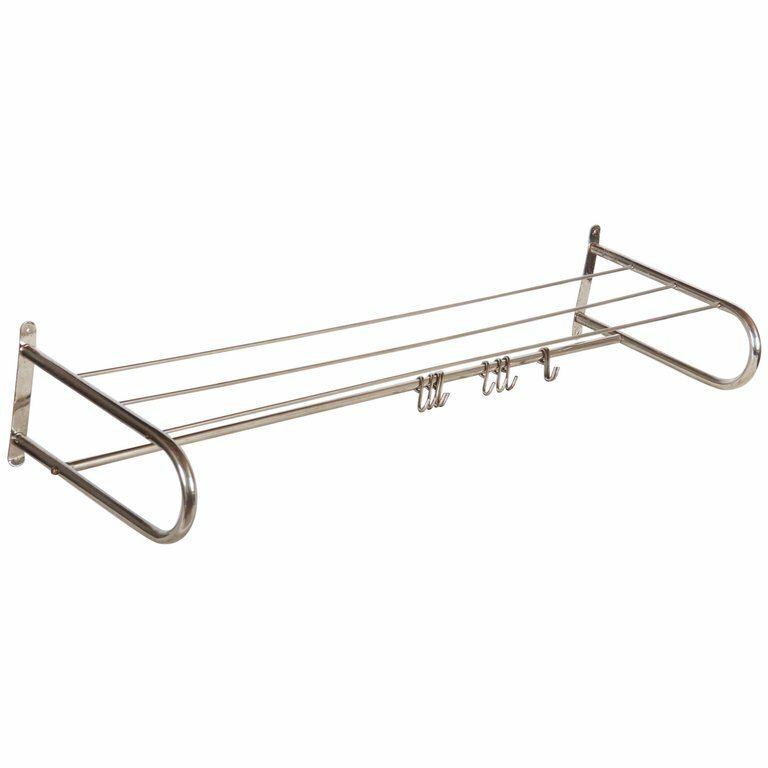 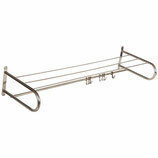 Steel chromed with nine hangers and hut shelf. 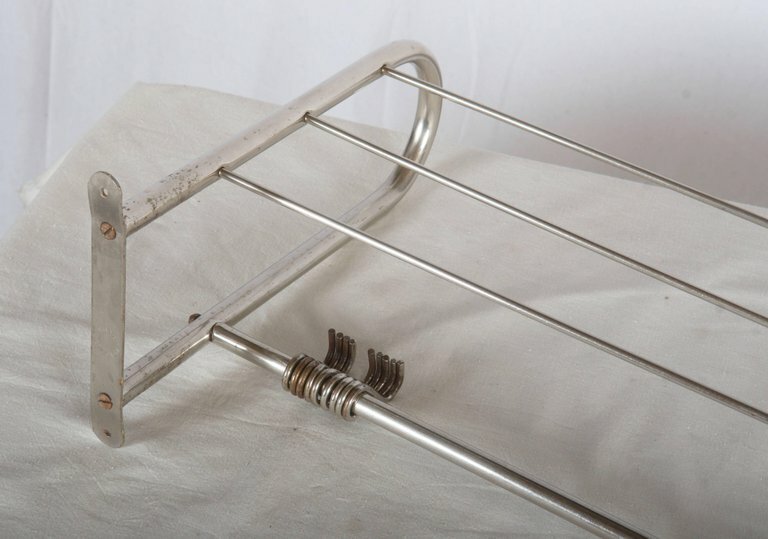 Good original condition with some patina. 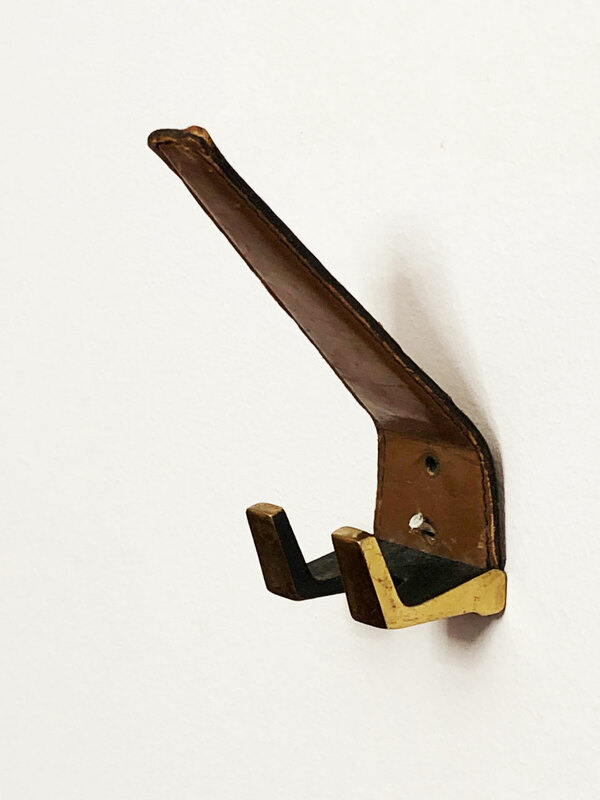 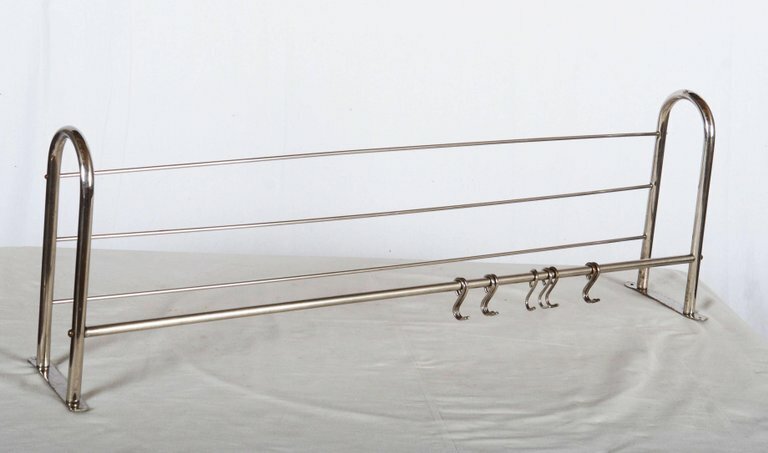 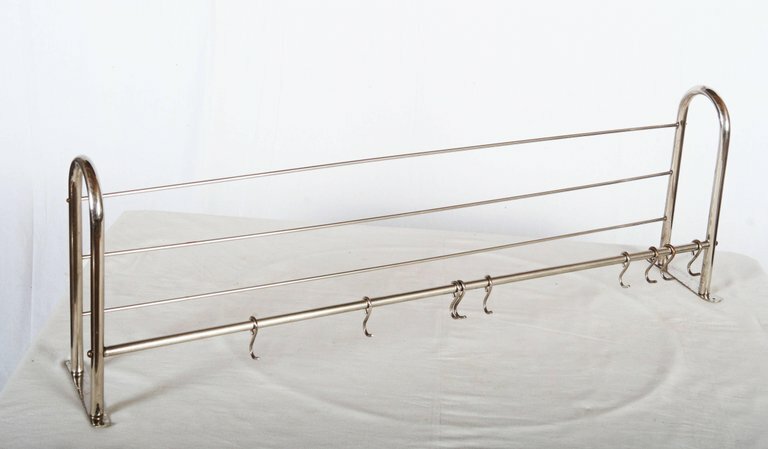 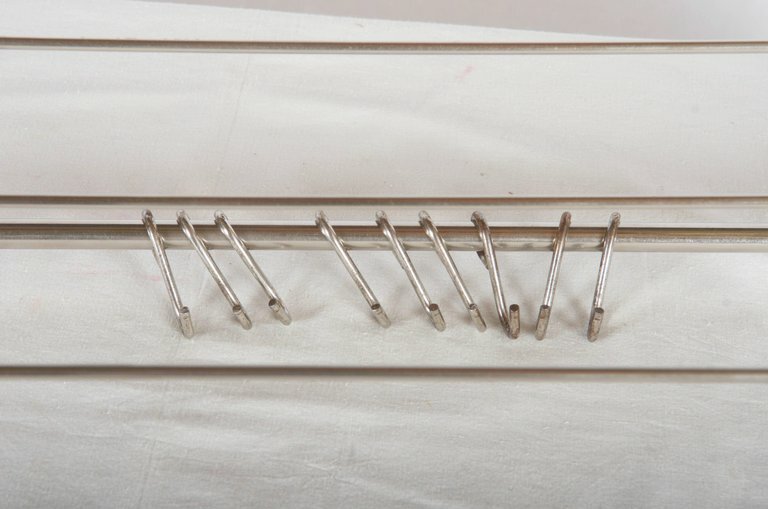 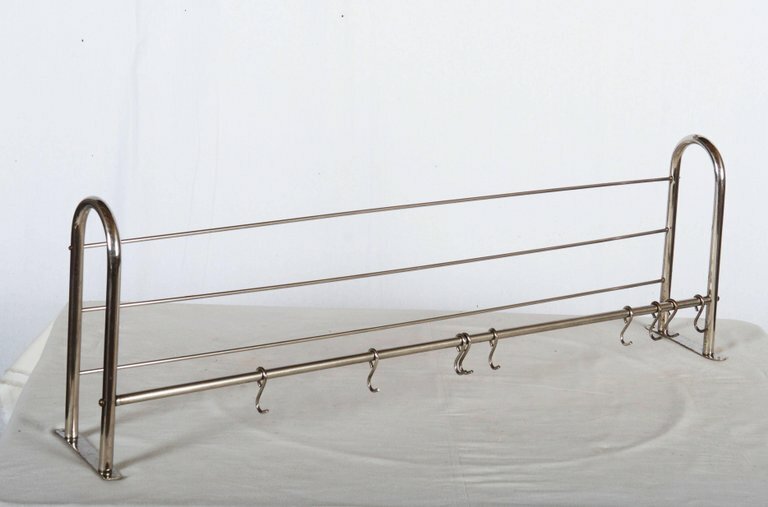 Beautiful Austrian hooks manufactured by Hertha Baller in Austria in the 1950s. 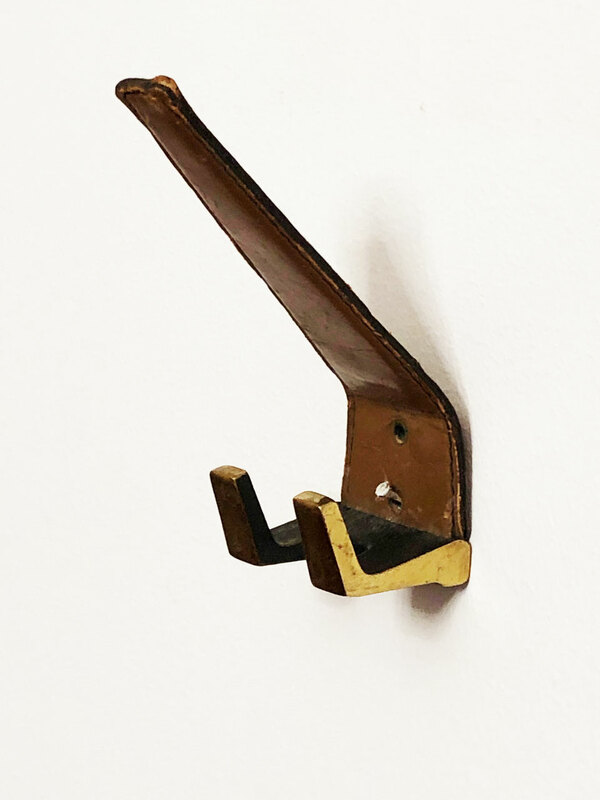 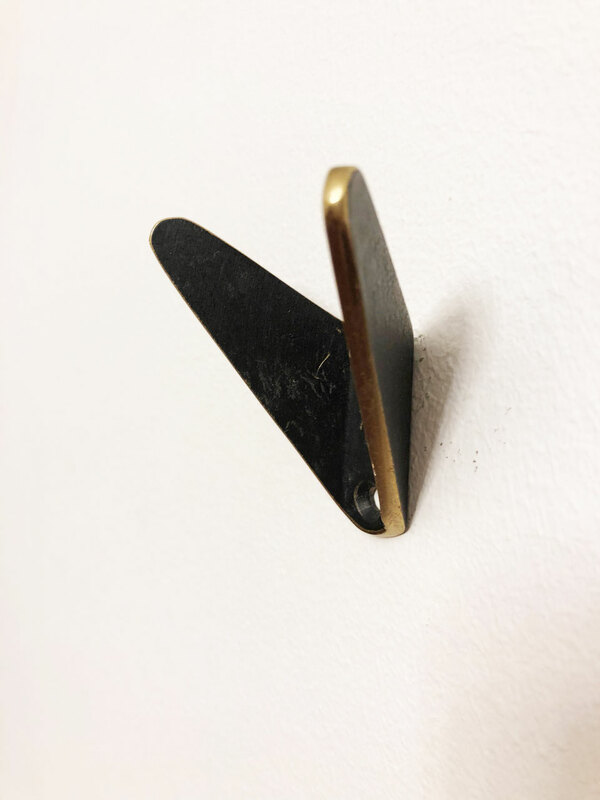 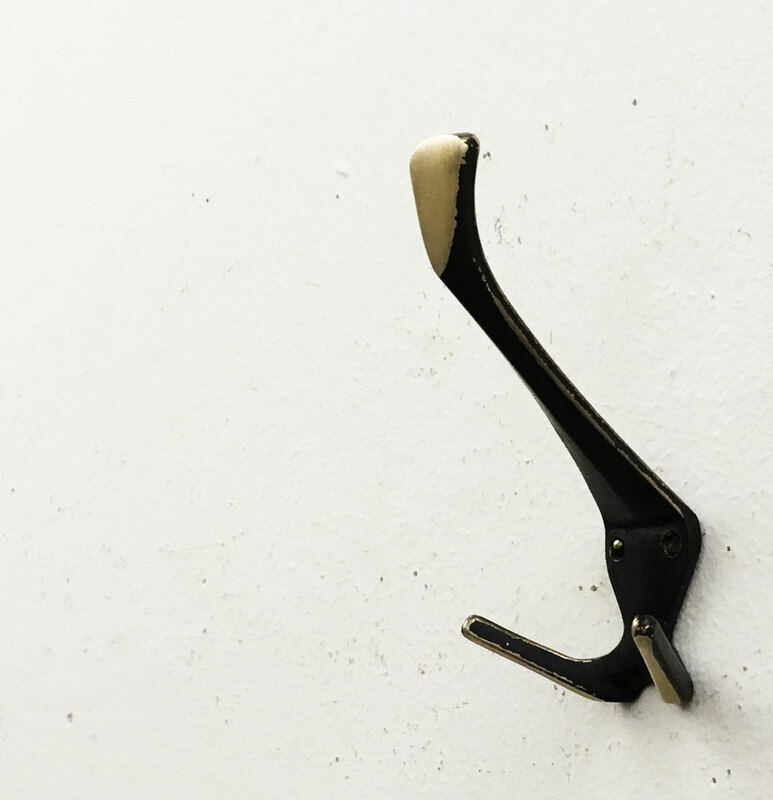 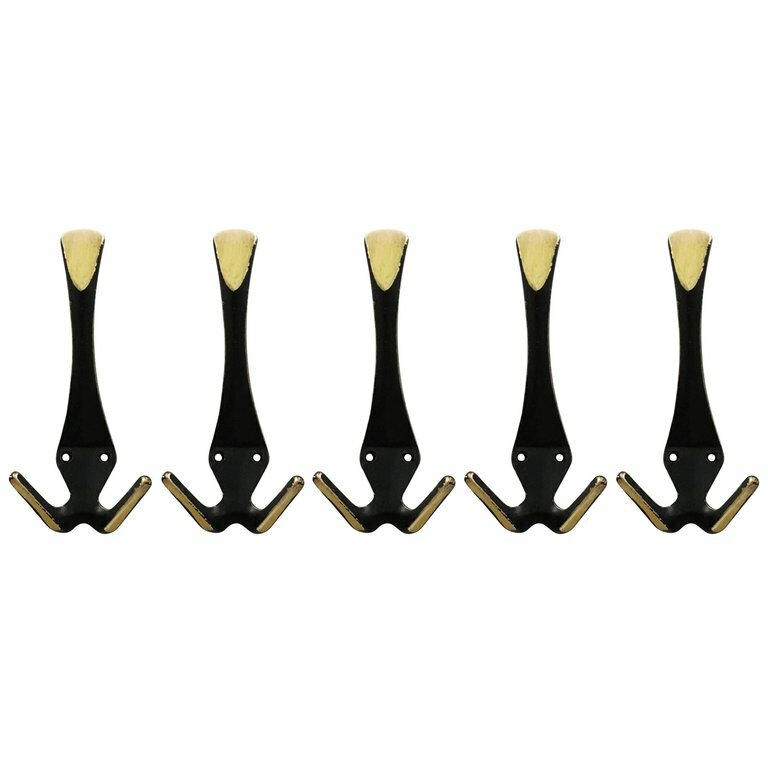 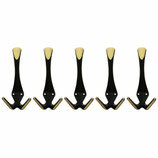 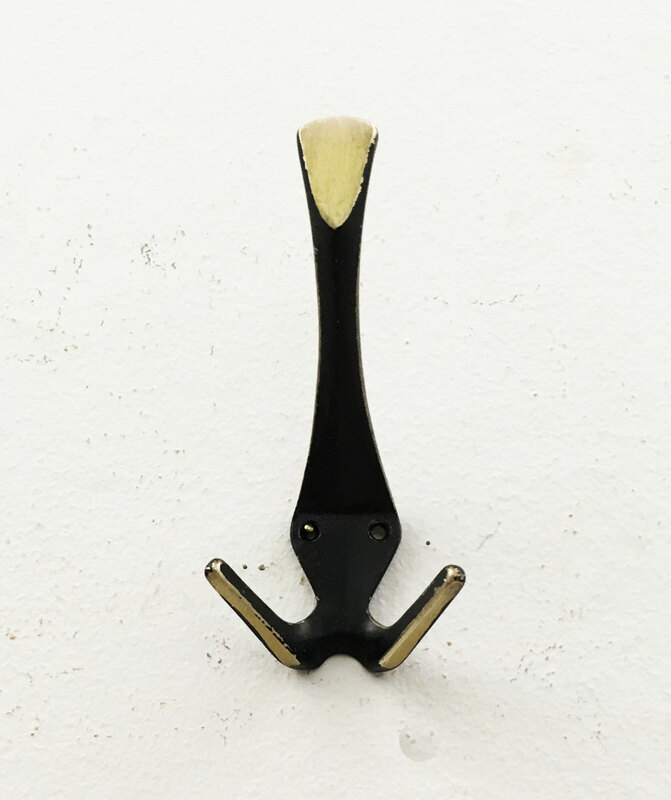 Ebonized brass coat, hat hooks, elegant shape and perfect quality attributed to Carl Auböck from the 1950s. 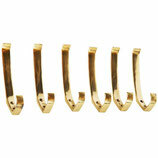 Up to five pieces available.